VIRGO is an earth sign, organized, (unless confused, then clutter envelopes their environment), mercurial, meticulous, detailed, political or medical, exacting of justice. MUNDANE Virgo, kinda sloppy, huh? Or are you a militaristic neat freak? Your world’s starting to reflect your over-stimulated mental synapses. This might make you judge everything and everyone. Especially if you’re accused of something. You just hate to be wrong! This can make you go over every last conversation word by word to defend yourself. When you get stuck in your head and don’t heed your body’s needs, you’ll start to attract bizarre sexual partners or have sexual difficulties. Check those unreasonable expectations at the door if you want to chill with your friends. Please find compassion for yourself and release that inner critic who’s putting wrinkles on your forehead. 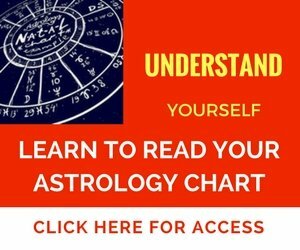 ESOTERIC Virgo, you love to chat and come up with the right solution for everyone. We might see you on T.V., giving your educated insights into the world of politics. Or read your editorial in the newspaper on local government and what needs to be done to improve conditions. Your cause is to promote fair practices everywhere. Hail to the model citizen! You’re a terrific editor because you know how to cut through the bull and pay attention to the minor details that make the rest of us nuts. As you discover the many facets of yourself, you’ll search for all types of healers to know yourself inside and out. Interesting that Virgo Men are softer than their feistier Virgo Women counterparts. Either way, you work hard at successful partnerships as long as you give your mind a rest from time to time. You can get a bit too spacey when overworked. Comedy, movies, music, and game night with family and friends helps greatly. 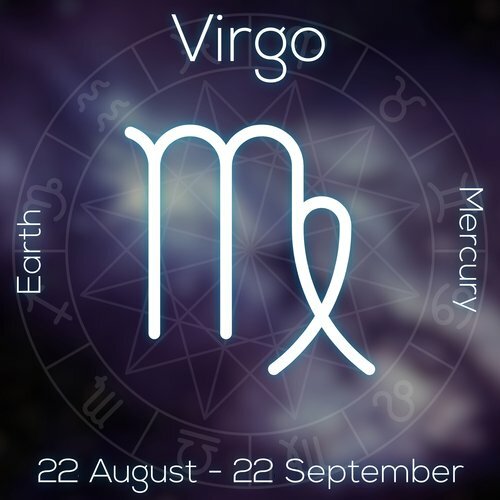 When Virgo is on the rise, the planet Mercury guides the general theme of a person’s astrological chart. Mercury represents communication, details, thinking, small journeys, analyzing, gossip, indecisiveness, judgments, evaluations, siblings, and research. In truth, you’re attempting to know how the world (and your environment) works so you know how to be part of it. But all the moving parts cause you to change your mind often or possibly judge the world instead of evaluating what’s appropriate for you. In comparing yourself to others, you might lose sight of your own needs and wants. Decide what’s of value to you and curb your need to find fault (especially with yourself). OR… are simply inexperienced in equal partnering. It’s okay to give and get back in equal measure. Allow that. Please be wary of attracting people who need your constant help. This is a tell-tale sign that you’re not setting clear and healthy boundaries. You’re more reserved in your manner and quite shy romantically. You’ve got a great admiration for intellectual people and wish to participate in think-tanks where you can be of service, (but don’t always think that you’re smart enough). As you search for truth in practical ways, note that your biggest challenge is in having equality in relationships. You’ll attract creative potential partners or intellectual types where you can learn and grow. That’s your greatest joy… to learn and grow in tandem with another. If you worry about the unknown or overthink things, you might suffer migraines or intense ulcers as a result. Use your mind! Learn how the brain works and IMAGINE positive outcomes. You have a knack for making lump sums of cash, but might also blow it on major purchases, donations to your new guru, or on large gifts to lovers. You’d thrive as an owner of an art or design house, holistic or medical practitioner, managerial position, political advocate, lobbyist. You’d also make a terrific songwriter, actor, and human resource director. You’re very helpful with solutions and ideas for change and can project that image to the world in healthy ways. You’re drawn to both allopathic, herbal, homeopathic, alternative and traditional. Vibrational healing and brain entrainment (Theta waves, Binaural beats, Meditation). What works fastest is immersion into a beneficial sensation, taking you away from negative judgment, away from morality, and away from thinking. Your feelings cannot be judged as right or wrong. You cannot quantify your emotions. They’re extreme, sad, angry, resentful, but they don’t regulate your worth. They’re simply your feelings. As you feel them, they simmer down. Put emphasis on allowing them to exist… then allowing them to dissipate. When you validate and give credence to your emotions, your finances increase. Yoga for a body-mind connection, libraries, music, detailed sports/hobbies–such as pool, golf, hockey, martial arts, chess and improvisational groups help, too. You love food, too. Eating in ethnic restaurants or traveling abroad helps you to feel more at home in your body. As I analyze information, I allow myself to process and digest at my own pace. I am an extension of the Light and exist here, now, everywhere. Notable Virgo Rising Signs—Kurt Cobain, Tiger Woods, Warren Beatty, Tom Hanks, K.D. Lang, Shirley MacLaine, Shannon Doherty, and Albert Camus. You are, by far, the most self-critical of all the moon signs. Please curb the urge to use the words, ‘right and wrong’ with regard to your feelings. The more you edit your feelings instead of feeling them, the sooner you’ll create anxiety and possibly stress your nervous or adrenal system. There was a fundamental sense of injustice in the family that kept you in the ‘wrong’ no matter what was said or done. You might have even been abandoned by dad (he left, divorced, or passed away), leaving the Mother in charge of setting appropriate rules. Sometimes those rules minimized your input on any matter. The difficulty might have with feelings is the overwhelming need to stop the feeling. You do this to judge or evaluate its validity… by using the Critical (mother) Judge voice. But you’ll never ‘win’ and create an argument or confusion between your head and your heart. This can stop your intuition before it has a chance to expand. Please allow your feelings to flow and shy from the urge to interrupt the flow. Set boundaries to your internal negative, critical voices and you’ll feel more at home in your body and much more aware of your many talents. As you learn to feel and negotiate your feelings, you apply that to the world of diplomacy and problem-solving.